Three eviction bills, some benefiting landlords and some benefiting tenants, were debated by landlords, tenants and advocates at a Sept. 24 D.C. Council hearing. Councilmember Anita Bonds, head of the Committee on Housing and Neighborhood Revitalization, called the hearing to address the Housing Conversion and Eviction Clarification Amendment Act of 2018, the Eviction with Dignity Act of 2018 and the Eviction Prevention Act of 2017. “This is just another example of bills that only benefit the tenants and don’t help the landlords,” said Lois Johnson, who has been a landlord in D.C. for 11 years. Johnson also worried a disaffected tenant could falsely claim their items were damaged or stolen during the 10-day period and try to sue her. “As a landlord of the District of Columbia, I don’t want to be responsible for the personal property of the tenant and I shouldn’t have to be responsible for the personal property of the tenant,” Johnson said in her testimony. Reginald Black, a homeless Washingtonian, also criticized the Eviction with Dignity Act. “The bill needs some work. It has to include focused employment for those who have actually been paid to evict someone, like the day laborers once were,” he said. As Street Sense Media and Washington City Paper previously reported, several eviction companies in D.C. have relied on homeless people as day laborers and paid them far below minimum wage since at least 1999. According to a Street Sense Media vendor who has worked for these companies and helped with the most recent investigation, those practices ended when the Eviction With Dignity emergency bill was implemented and belongings were no longer disposed of the day a U.S. 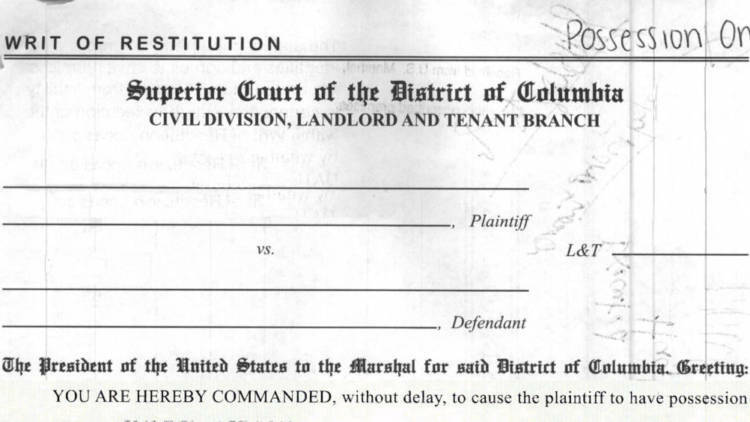 Marshal served the tenant with a writ of eviction. Black suggested D.C. Council should use the opportunity to create partnerships with city agencies, such as the Department of Employment Services, to employ these workers for the various services now needed to comply with the legislation. 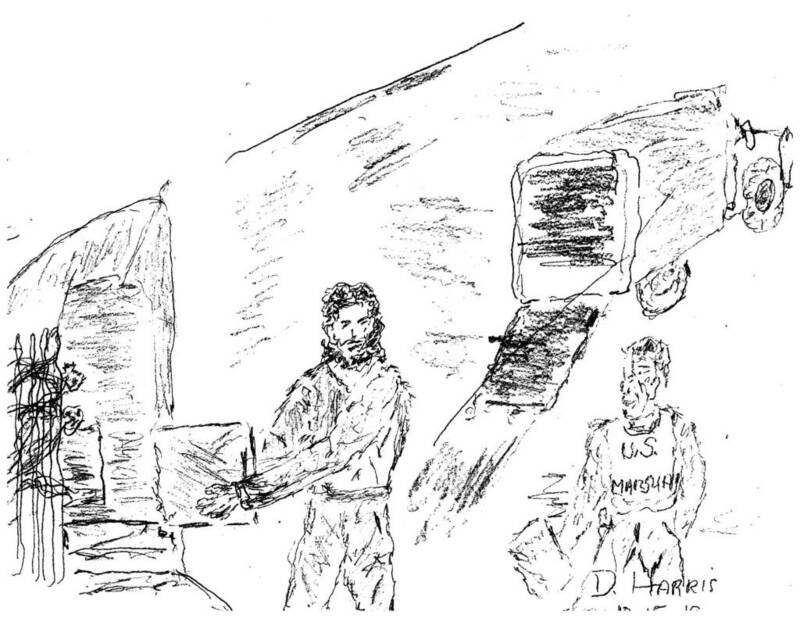 These include transporting belongings to a storage center, assisting with unit identification, providing preventative care to those at risk of eviction — i.e., security workers as described by Johnson. Amber Harding, an attorney at the Washington Legal Clinic for the Homeless, said eviction move-outs still lack the dignity promised for tenants. Harding said she looks forward to working with Bonds and the Committee on Housing and Neighborhood Revitalization to amend the existing bills in ways that better protect the evicted. She estimated D.C. saw approximately 2,000 evictions carried out in 2017. Councilmember Mary Cheh introduced additional legislation Tuesday, Oct. 16 that “will require D.C. Superior Court to seal the eviction records of tenants after four years,” according to an article in the Washington City Paper. The bill would also call for the sealing of a tenant’s eviction records if they were evicted from a local or federal housing unit, among other protections, all in an effort to preserve the privacy of evicted tenants.